The Indian government has laid out concrete plans to build an astonishing 44 highways, with a combined distance of 27’000km, over the course of the next 6 years, impressive, right? The government has a view to make these newly built highways ‘economic corridors’ in a bid to allow for seamless movement of cargo vehicles, cut delays, deepen economic activities and create jobs. 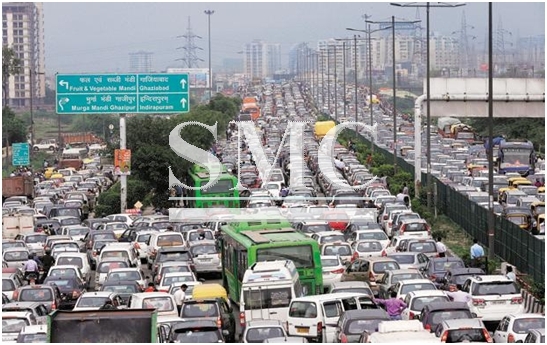 India’s big cities are rife with congestion, due to the countries uncontrollable levels population, so the government has to find ways of ensuring they can continue on the path of economic growth in conjunction with population growth. The government will be looking to also build new business hubs along the corridors in an attempt to spread businesses in India to different locations. The government is seeking funding in several different ways including loans from agencies and private investments, the latter being something the Indian government is trying to improve nationwide. The network being developed is expected to contribute to the transport of 80% of the countries freight. This is all part of one massive project by the government to improve and ease the navigation of Indian roads, they are also looking at rebranding their roads; the government will also rebrand national highways as national corridors, economic corridors and feeder roads. The Union highways ministry is preparing a proposal to seek the cabinet approval for the ambitious programme. TOI on June 13 had first reported the government's plan to develop a grid of national highways for smooth traffic movement. NHAI officials said some of the identi fied corridors are Mumbai to Kolkata, Pune to Vijayawada, Jaipur to Indore, Tuticorin to Kochi and Bengaluru to Nellore. Good luck India… it’s an ambitious plan but one that in the long-run is sure to be a success.